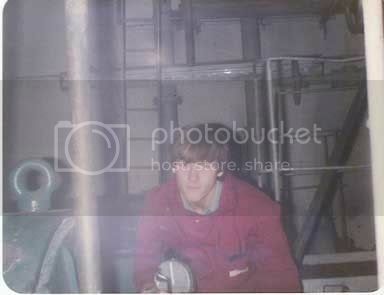 Was looking through some old photos when I found this one of me as an apprentice at Kincardine power station. Anyone care to say what year t was taken? Give or take a couple of years. Nothing at all to be ashamed of in either pics, mate!. Thankfully, there are no pics of me down in trenches jointing cables with my wildly unkempt hair all over the place!. I have considerably less hair these days (not going bald though) I just prefer the good old #2 haircut, although it is rather grey. This is the thing of hindsight, no-one took pictures on work-sites back then, because no-one thought they would be that important. These days, every man and his dog has a digital camera. BTW, don't you folks laugh too hard about that wallpaper, I'm told with good authority, that them patterns are part of the new winter collection about to be released in Europe. Just think yourselves lucky that (hopefully) we won't be seeing any of the prints from the 1980's again, I mean Fido-Dido wallpaper??. 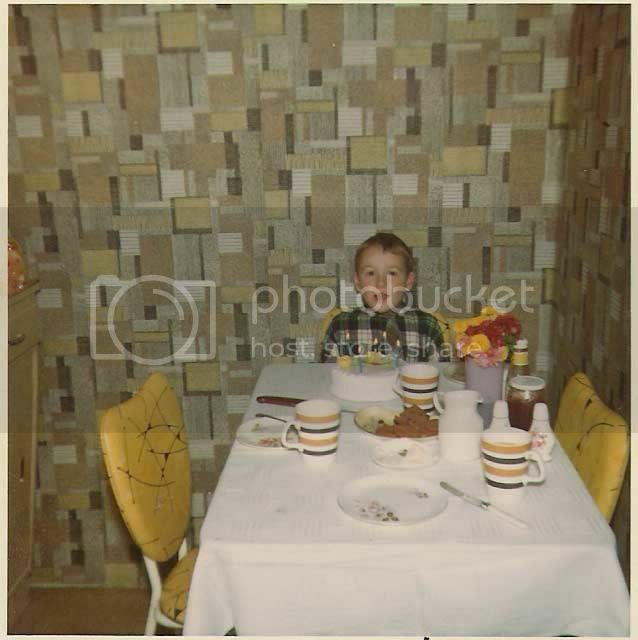 I must have given my age away in an other posting... 5 candles on the cake means it was taken on the 22 October 1968.